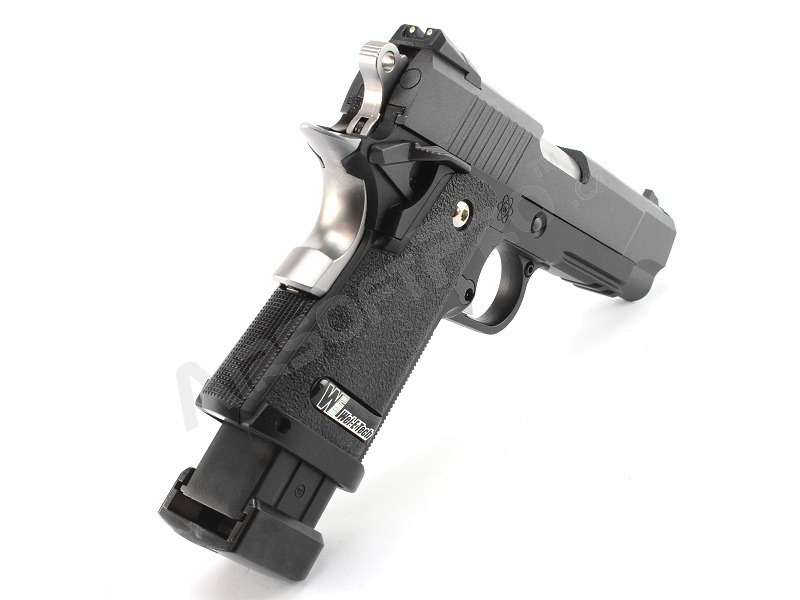 A detailed replica of a Hi-Capa, which is a modernized version of a famous M1911 A1 modified by the STI armory. 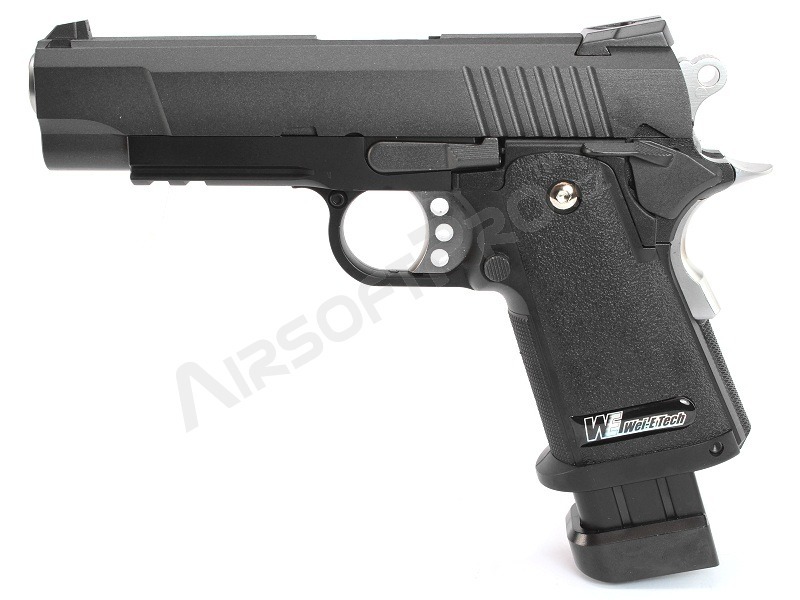 We offer the airsoft version made by WE. You will notice the magazine which is longer than the frame. 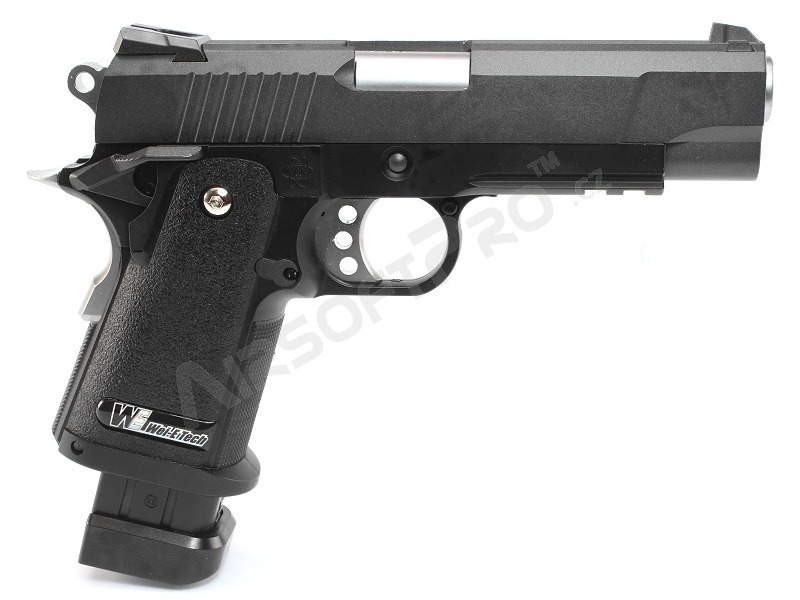 This version doesn't use a standard 1911 magazine, but a two-stack for Hi-capas. 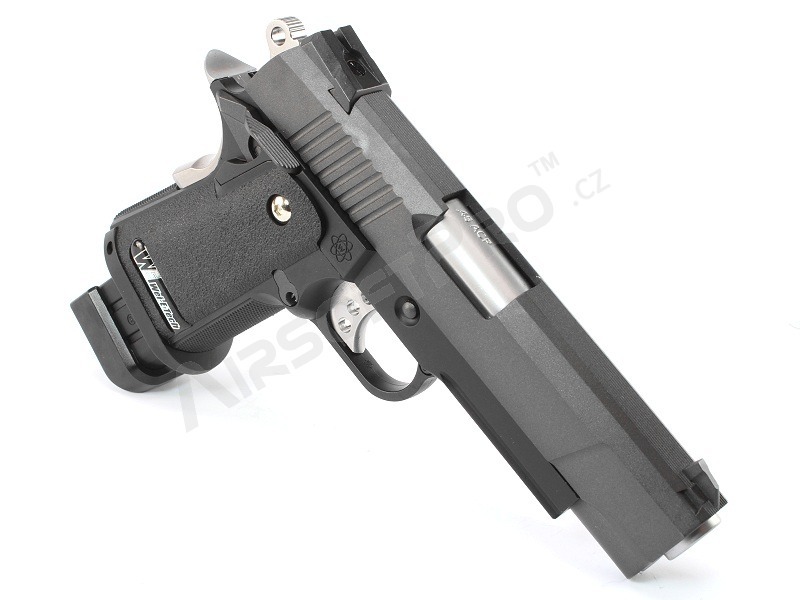 This weapon can shooth with both CO2 and green gas mags. 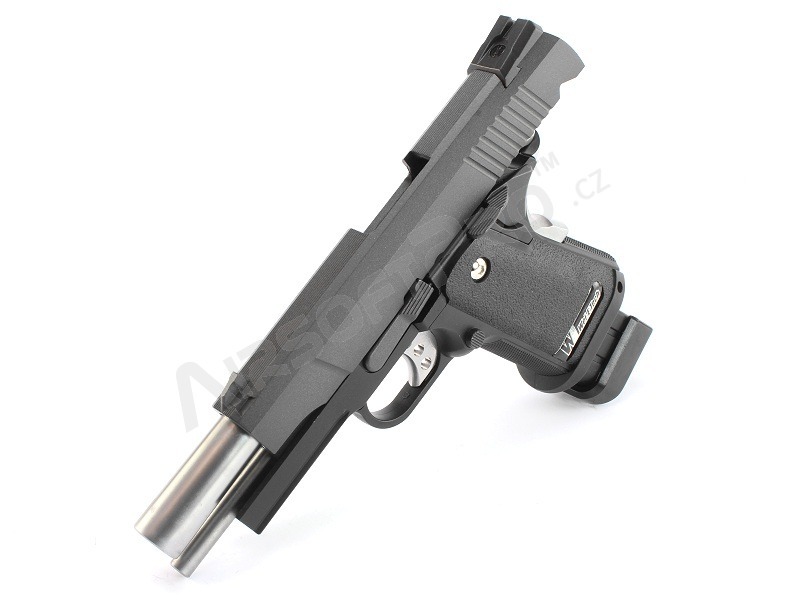 The pistol offers a good-looking reciever, which consist of a dark grey metal slide, silver outer barrel and a black plastic frame with a RIS rail in the front, that allows to mount for example a flashlight. 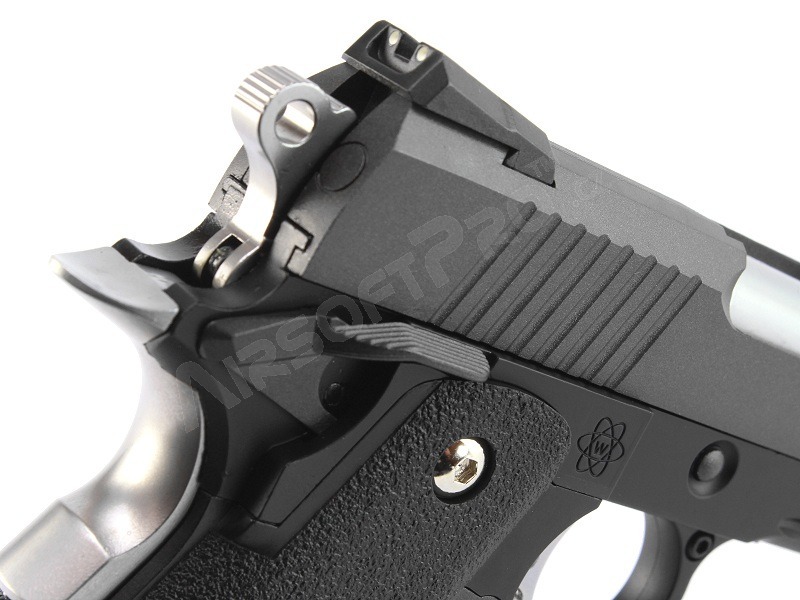 The grip, although it's shorter than a classic colt grip, offers good ergonomy. 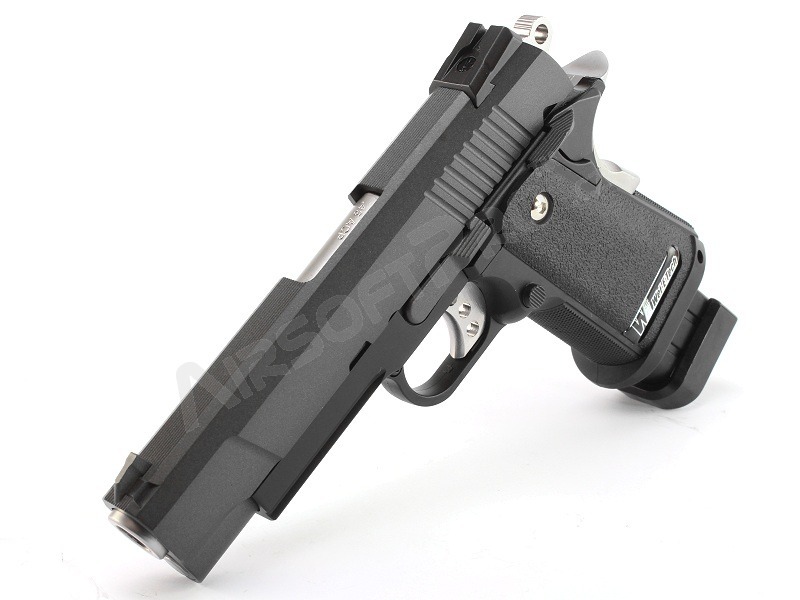 It is a gas blowback weapon, so it realistically moves slide backwards when shooting. 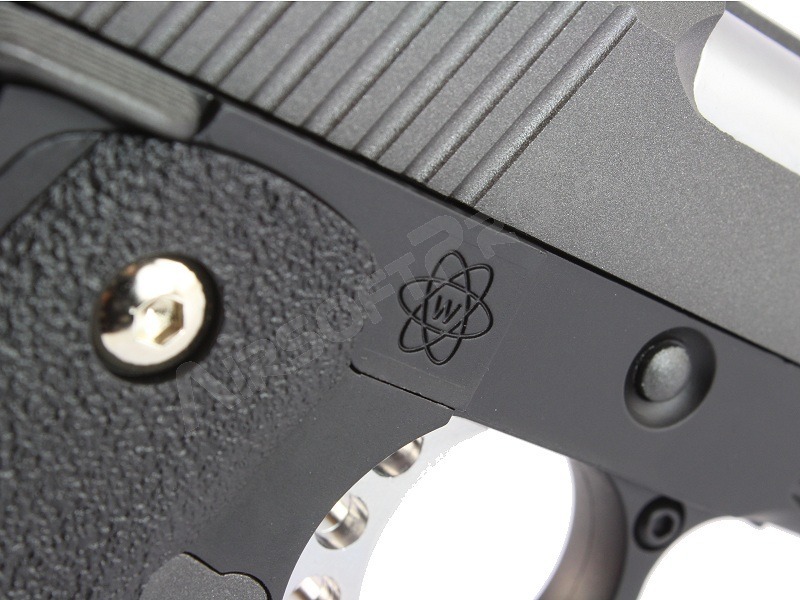 It's powered by a standard C02 cartridge, whose place is in the magazine. 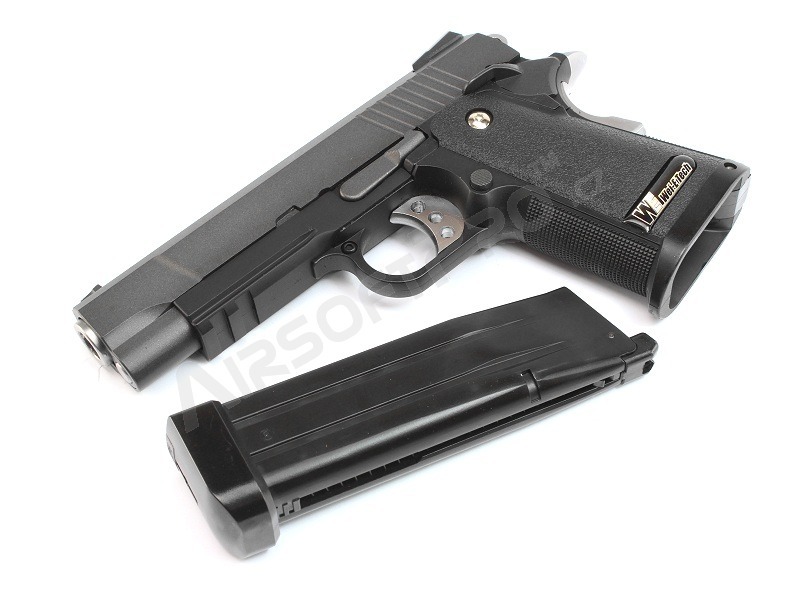 The magazine can hold 26 BBs and the weapon can give 60-70 per one CO2 cartridge. These weapons have realistic disassembly and they need maintenance as the real weapons do. They're the most realistic replicas on the market.